A WINNING COMBINATION OF TASTE, EXPERT CRAFTSMANSIP AND AN ENVIRONMENTALLY-FRIENDLY APPROACH. One of the first manufacturers of “offelle di Parona”, Forno F.lli Collivasone, a concessionary company of trademarks and patents that protect this typical product, has made the typical biscuit that distinguishes the firm’s entire production range famous for its quality. 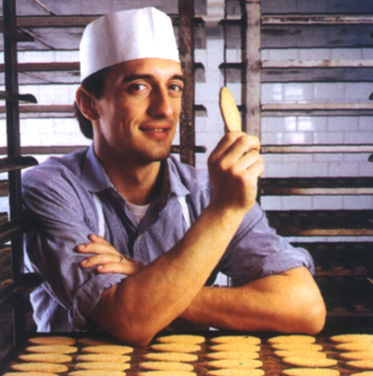 Giovanni Collivasone commenced his business as baker in 1890 when he established the bakery. In 1912 the company was handed down to his son Giuseppe, who developed it and maintained it until the 1950s, when the brothers Giovanni and Ezio, the founder’s grandchildren, joined the company. Assisted by his wife Franca Legnazzi, Ezio very soon channelled the entire family business towards the production of pastries. 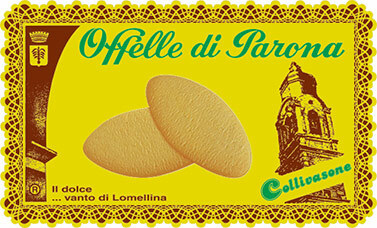 “Offelle di Parona” biscuits are the lead product, whose recipe has remained unchanged in time. workers and insightful guidance of the family members Renato, Renzo, Giuseppe Collivasone and mum Franca are the most genuine guarantee of the quality of the marketed products. When clients see our products, their expression reveals olfactory pleasure, delight and anticipation of the luscious flavour. This is the driving force that encourages us to work hard daily to offer only the very best.